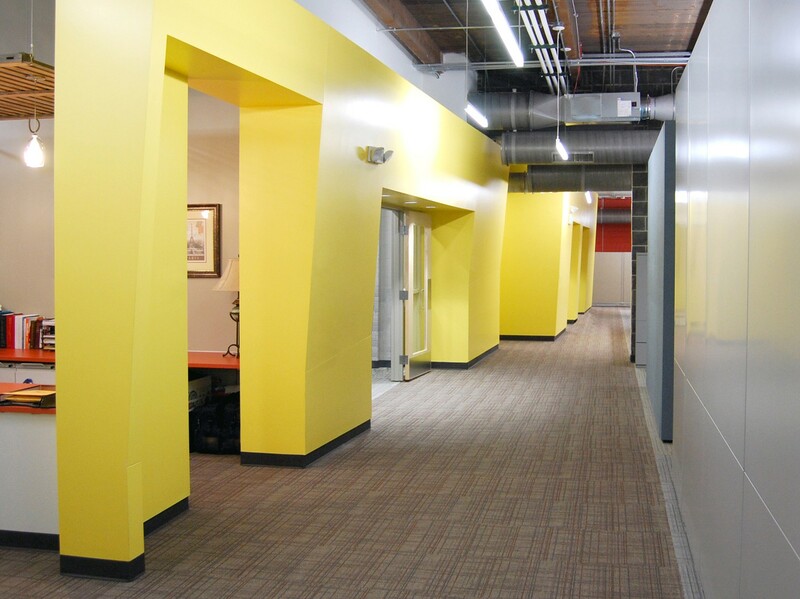 Studiotrope did a significant interior renovation to 530 Acoma Street in order to relocate Denver Health and Hospital Authority's eHealth services into the building. Color blocking and sleek architectural elements were used to juxtapose the industrial space and give it a more human scale. The renovation included: adding new mechanical, electrical, lighting, low-voltage, and plumbing; hazardous materials abatement; structural verification; systems furniture; life-safety evaluation; and interior architecture and design.